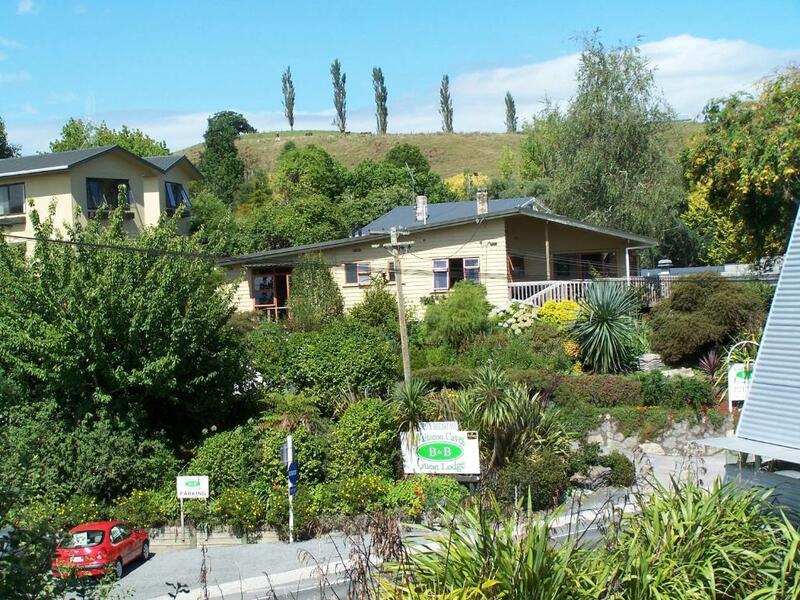 Lock in a great price for Waitomo Caves Guest Lodge – rated 9.3 by recent guests! Very friendly, helpful and comfortable. Good Breakfast in good surroundings. Loved the owners Richard and Lynn. They were so friendly and accommodating. The rooms were so clean and quaint and each one had a view. Central location was the best! 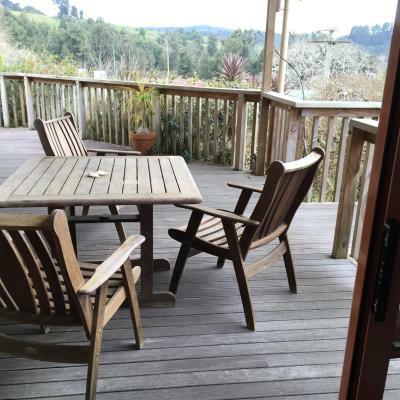 Lyn and Richie are wonderful hosts, the location is fantastic (walking distance to the Waitomo Glowworm Caves), the breakfast spread was great - a wonderful experience altogether! Lovely breakfast, as good as any on my travels. A pleasant stay and handy for all village facilities - including those wonderful caves. Super friendly staff. Richard was more than happy to orient us and provide any assistance. Great breakfast. Good location for the glowworm caves. Beautiful house and rooms across from a wonderful restaurant. Owners love to show you around the area and are very proud of their property. Breakfast was continental but good. I was very surprised at how much I enjoyed this place. It is charming, well run, and quite convenient to walk to dinner. Our hosts were terrific, We enjoyed the quiet community and lovely views. Breakfast was modest but quite satisfying including fresh croissant..
Beautiful setting in a lush garden. Convenient walk to the village for nice food and drink. Easy access to caves nearby. Richard and Lynn were excellent hosts, gracious and very helpful and informative. Highly recommended. Cozy and clean. The location to the glowing worm cave. Breakfast is excellent. Waitomo Caves Guest Lodge This rating is a reflection of how the property compares to the industry standard when it comes to price, facilities and services available. It's based on a self-evaluation by the property. Use this rating to help choose your stay! 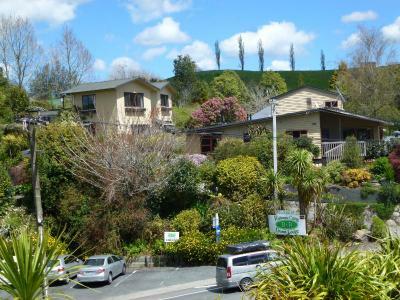 Waitomo Caves Guest Lodge is located in the center of Waitomo Caves Village. Guests enjoy a large continental breakfast, which is served buffet-style in the dining room, overlooking lovely views of the countryside. 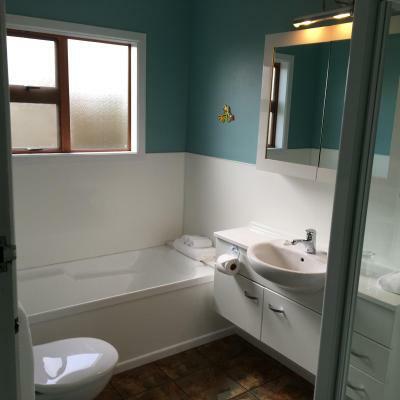 This property is located next to the Village Store and opposite the award winning Huhu Cafe. 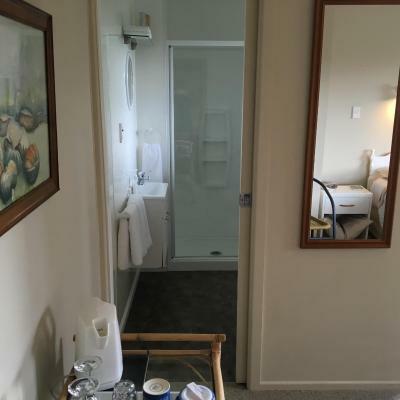 It is a short walk to the Waitomo Caves i-SITE/Discovery Center, the Waitomo Glowworm Caves, Curly’s Bar and Bistro and a pizzeria. 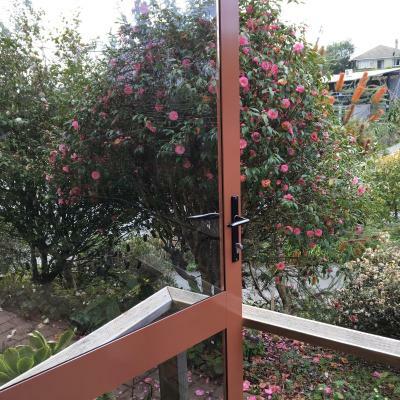 Each of the studios has an private bathroom, private entrance, and beautiful views of the cottage garden and surrounding hills. 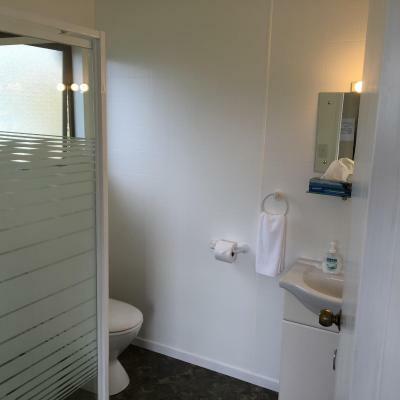 Each unit has insect screens, tea/coffee-making facilities, hairdryer and TV and, if you wish, you can use the guest fridge, BBQ, microwave and laundry facilities. There is free Wi-Fi everywhere except Room 6. 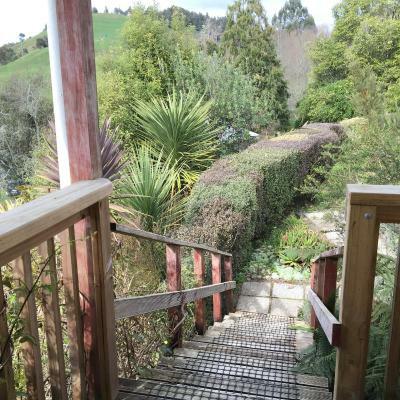 This property also has one of the top-rated locations in Waitomo Caves! Guests are happier about it compared to other properties in the area. 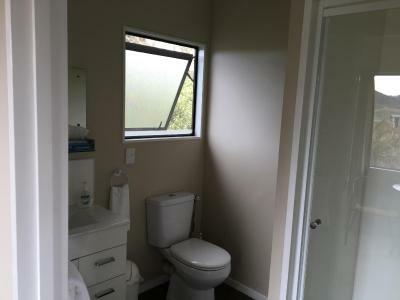 This property is also rated for the best value in Waitomo Caves! Guests are getting more for their money when compared to other properties in this city. 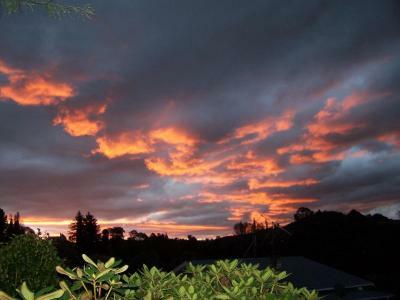 When would you like to stay at Waitomo Caves Guest Lodge? This sunny second floor room has lovely views of the garden and surrounding countryside. Please note that children under the age of 3 cannot be accommodated in this room. 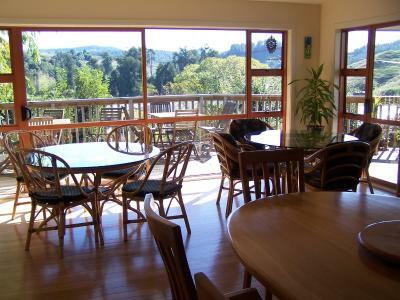 This sunny room has a covered deck which overlooks the garden and surrounding countryside. Please note that Room 8 has a lockable access door to Room 7. 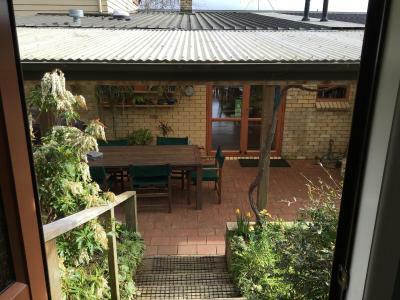 This cozy cottage overlooks the garden and barbecue area. 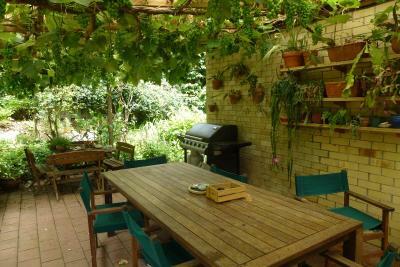 This sunny room overlooks the garden and the barbecue area. 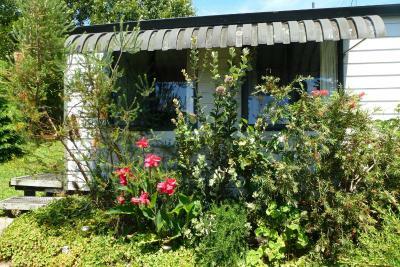 This light and airy cabin has lovely views over the garden and surrounding countryside. Please note that WiFi is not available in this room. You can access WiFi in all other areas of the property. 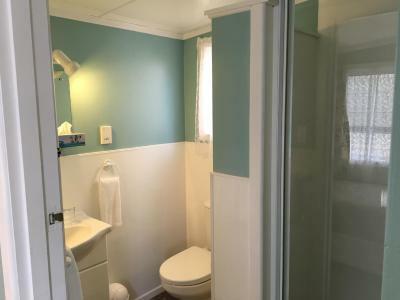 This sunny room has a separate private bathroom. 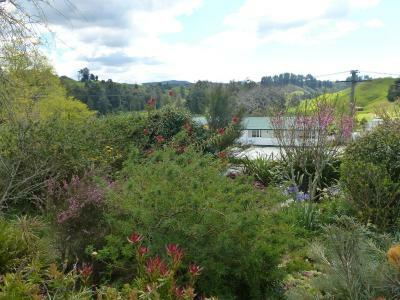 From the entrance you can see the garden and surrounding countryside. Please note that Room 7 has a lockable access door to Room 8. 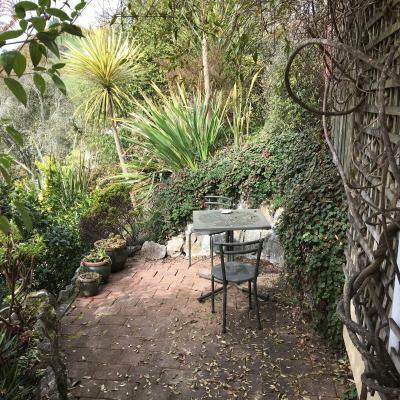 This sunny room is on the ground floor with a terrace area overlooking the garden. 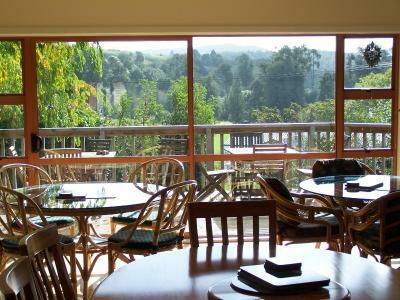 This sunny second floor room has lovely views of the surrounding countryside. 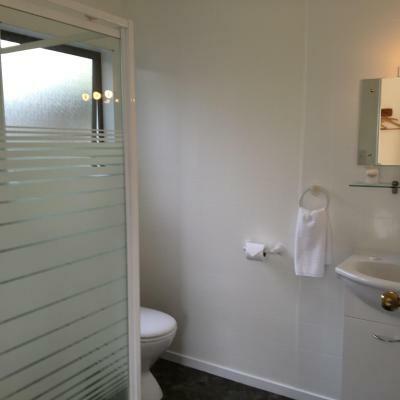 House Rules Waitomo Caves Guest Lodge takes special requests – add in the next step! Waitomo Caves Guest Lodge accepts these cards and reserves the right to temporarily hold an amount prior to arrival. Please note that children under the age of 3 cannot be accommodated at Waitomo Caves Guest Lodge. 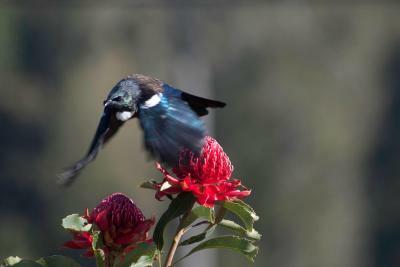 Please inform Waitomo Caves Guest Lodge of your expected arrival time in advance. You can use the Special Requests box when booking, or contact the property directly using the contact details in your confirmation. If I have to say something I didn’t like, it will be the stairs from street to reception and to the room. The room is on the slop path then it’s suitable for who have big bags. There are no kitchen for any cooking. 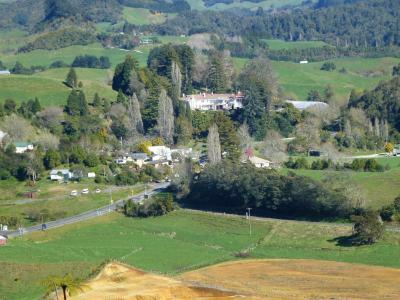 The location is next to the waitomo cave. Friendly and informative hosts. Great service at breakfast. 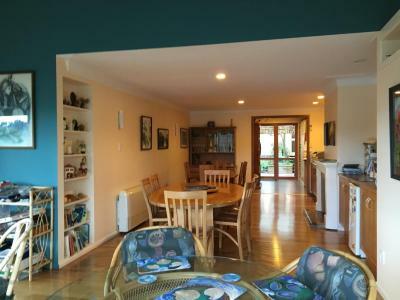 Spacious and well presented suite surrounded by lovely gardens. The continental breakfast was great and the people running the B & B were very welcoming and helpful. Only stopped for one night to visit the Waitomo Caves. What a lovely place, it had a quirky layout with rooms at different levels but this only added to its charm. Accommodation was excellent and hosts provided good information about surrounding area. Would recommend doing the bushwalk at night to see the glow-worms was great fun. Lovely meal at HuHu cafe just across from property which was recommended by the hosts. The night sky is so clear here, if you are lucky you can see the milky way. Lovely breakfast and welcoming hosts would recommend this place. Being able to hear the people above walking on the floor. The owners were very friendly and helpful. The continental breakfast was very good with lots of choices. 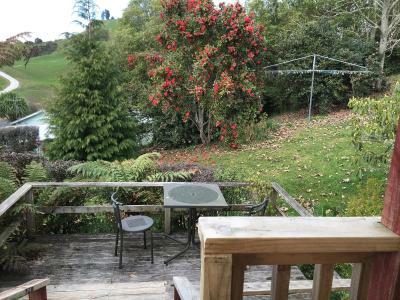 Great location in Waitomo, just a short walk to the cafe or pub, or a few more minutes to the glow worm caves. 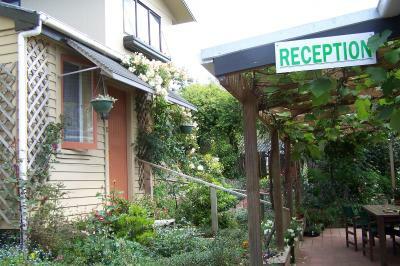 Lots of lovely garden beds and flowers around, and a great breakfast is provided. The hosts were both very warm and welcoming and went out of their way to make my stay great. Lovely and helpful hosts, delicious breakfast, quaint room.